As Cyprus emerges from a deep financial crisis, a new low-cost airline will launch next month to tap into the Mediterranean island’s resurgent tourism market. The country has been without a national carrier since the collapse of Cyprus Airways, the victim of a credit crunch that brought the country close to bankruptcy in 2013. But numbers of visitors to the island’s popular beach resorts soared in 2015, prompting optimism for the vital sector’s prospects. Andrew Pyne, CEO of new airline Cobalt, wants to turn the island’s main airport, Larnaca, into a regional hub serving Europe and the Middle East. “We want to be the new national airline of Cyprus,” he told AFP. 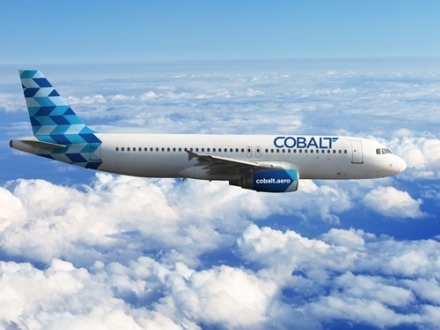 Cobalt, a collaboration between local and Chinese investors, plans to run a modest fleet of five planes by the end of summer, and double that by 2017. Starting from 7 July, it will fly in visitors from eight destinations in Britain, Ireland and Greece. Further down the line it plans to open routes to Israel, Iran and countries in Asia. The new carrier, with 150 staff – many of them former Cyprus Airways employees, faced a slow start because of delays getting its commercial licence. That pushed back its launch by more than a month, hitting revenues. But the launch is a timely intervention in an economy that only last year emerged from recession after 14 consecutive quarters of contraction. “There was a realisation after the financial crisis that there was a sector they weren’t making the most of,” said Fiona Mullen, director of Sapienta Economics. With revenues of 2.11-billion euros in 2015, tourism represents 12 percent of Cyprus’s gross domestic product. But the World Travelling Tourism Council estimates that the total impact, including retail and real estate, could be as much as a fifth of the entire economy. Cyprus welcomed 2.65 million tourists in 2015, the highest figure in 14 years. In May this year there were more visitors than ever before – with particularly high numbers from Britain and Russia – and the Cyprus Tourism Organisation (CTO) predicts 2016 will see record numbers. Doros Georgiades, who works for CTO to attract tourists from Europe and Russia, said his organisation was optimistic about Cobalt. “We expect a lot from the new airline. First, because it will open new routes. But an additional benefit is that the income will be much higher for Cyprus, because having an airline operating in Cyprus, that means that the whole price of the package is going to Cyprus,” he said. While Cyprus has long hosted British and Russian tourists seeking some sun, officials are now working with Cobalt to develop new forms of tourism and extend the season. “Our aim is to have similar numbers [of visitors] during off-seasons as we have during summer. Cyprus has a lot to offer in October, November, March, April,” said Georgiades. The government, which has actively supported the launch of Cobalt, recently announced a strategy for improving the quality of its services. It also plans to promote alternative tourism to attract new visitors and improve its high-end offerings such as yacht harbors and casinos.